Learn more about Jennifer Ziegler. Image by Sam Bond Photography. I feel as if I have two “breaking in” stories. I began in publishing as a work-for-hire writer, penning mass market YAs for series such as Sweet Valley High Senior Year (1999-2003), Fearless (1999-2004), and Love Stories, as well as some TV tie-ins. I did this IP work (short for “intellectual property”) for years, publishing close to 20 novels. Usually I wasn’t given a byline, but if I was offered one, I would use a pen name since I didn’t feel complete ownership of the material and was still hoping to one day publish my own characters and stories. So, in one way, my first book came out in 1997, but my first trade novel (bearing my real name) came out in 2006. The experience of writing IP/mass market books really helped me navigate the built-in pressures of this career and the bumps and surprises that would come my way. This was true for both craft and business. On the creative side, I was able to find and fine-tune my process. Due to the tight deadlines, I figured out how to best allocate my time and acquired several good tricks to overcoming writer’s block. 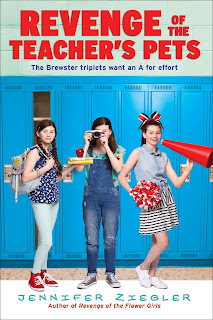 Because I had to defer to the mass market editors and follow the series “bibles” – so that the books could maintain a consistent voice – I learned how to get over myself and could better handle editorial feedback with my trade books. I had to view each IP book as a for-hire (and fast-paced) job as opposed to an indulgent artistic endeavor. This mindset taught me to not be too precious with my writing and armed me with the weaponry needed to kill proverbial darlings. And because I couldn’t be choosy about projects, I often had to break out of my writer comfort zone. Now I’m not as scared to try new genres, markets, formats, or narrative styles. Similarly, mass market writing prepared me for pitfalls that might arise on the business side of things. By the time my first trade book came out, I had already been through the stress of having books canceled, deadlines moved, checks arrive late, story pitches rejected, and editors leave in the middle of a project. I didn’t have an agent at the time, so I had to adapt to these glitches and heartbreaks on my own. It made me realize that I could handle the life of a writer – that it was worth it. In the literary world, work-for-hire writing isn’t valued the same way as trade writing, but I’m proud of my mass market experience. I like to think of that time as my publishing “boot camp.” It helped me conquer fears and showed me what I was capable of. I probably wouldn’t have used the last name “Ziegler" on my trade novels. "Ziegler" was the name from my first marriage, but I had always planned to publish as Jennifer Ford – my maiden name. I come from a family of storytellers and wanted to honor them in this way. Plus, I felt this name was attached to the writer part of myself -- the young girl who loved to make up stories. Unfortunately, I was confused when Random House told me my novel Alpha Dog (Delacorte, 2006) would be a “trade paperback” and not a hard cover. 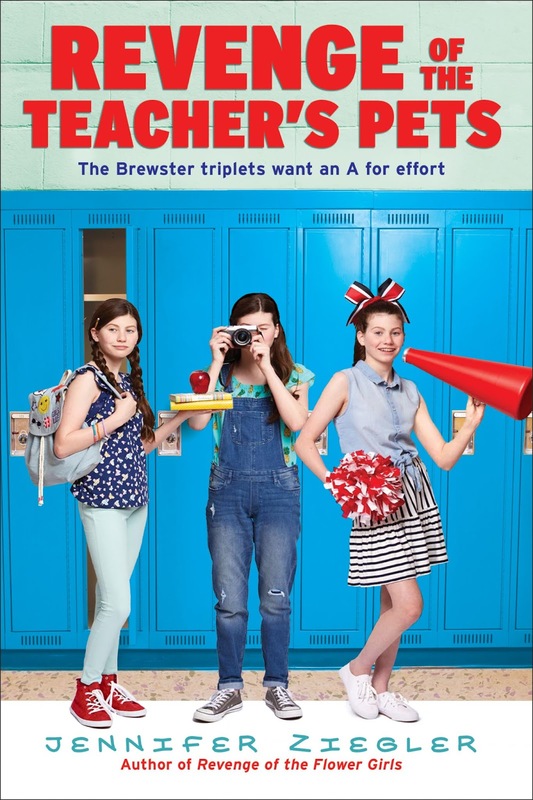 At the time, I didn’t know the difference between mass market paperback and trade paperback and assumed this meant it wouldn’t be reviewed and wouldn’t be part of the school and library market – but it would be chance to prove myself with my own story ideas. 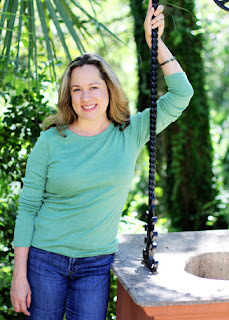 So, I decided to use Jennifer Ziegler and save Ford for when I got a “real” book deal. 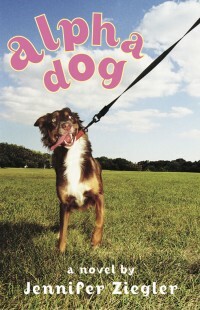 But Alpha Dog did receive good reviews and some educators did take notice. 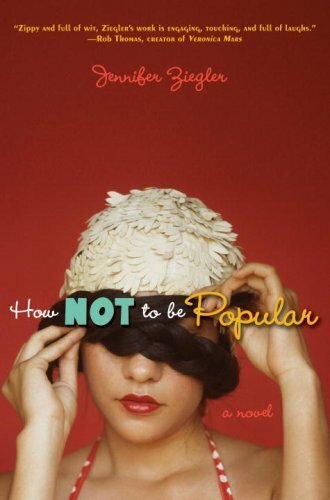 Later, when I got the contract for How Not to Be Popular (Delacorte, 2008) and was told it would print first as a hardcover, I asked to publish it under the name "Jennifer Ford." Random House strongly advised me to keep the same byline as my first book, to build on the good press and recognition. After lots of pondering, I agreed. Only now, I’m no longer in that marriage, nor do I feel I’m the same person (or writer) who went by that name. In the broad scheme of things, it’s a minor issue. I did start publishing under that name, and it’s the name I share with two of my children, but I do think I’d have chosen differently had I understood the business better. When I was writing my earliest books, the publishing process itself was different – especially regarding tech. If I wanted to talk to my editor, I had to call. I would submit a draft via FedEx. They’d send back a hardcopy editorial letter and a marked-up manuscript with so many post-it notes, it looked feathered. But to me, the biggest change is the expansion of the industry -- the sheer number of kidlit books, authors, writing programs, and events. And I feel this growth has led to an increase in the amount of respect children’s literature gets. The number of times I get asked “When are you going to write a real book?” has dropped significantly over the years. I see more adults openly and unabashedly reading children’s literature, and this appears to be happening in other mediums, as well. Movies like "Ladybird" (2017) and "Eighth Grade" (2018) aren’t just marketed to teens. TV and graphic novels that center on young people are gaining wider audiences. I think people are realizing that the age of the protagonist doesn’t matter. Themes are universal, and just because a writer chooses to tell a story through the eyes of a young person, that doesn’t mean it won’t resonate with people much older. A good story is a good story. Number one: Find your community! I wish I’d done this sooner. All those years I wrote at home, alone, while my young children were sleeping or in school, I often felt stressed and overwhelmed. It would have helped immensely if I’d discovered SCBWI – or another supportive writers’ group – at that point. Number two: Learn about the industry. Don’t know the difference between trade and mass market? Look it up. Learn the terminology. Familiarize yourself with key players and events. In addition to reading new, great books in kidlit, read up on the industry, too. Read Cynsations! And don’t be afraid to ask questions of agents and editors. They are there for you, as partners and mentors, and have different, invaluable perspectives. I want for us, both industry and society, to continue to have those awkward and difficult conversations about representation and imbalances of power. I hope we can challenge outdated beliefs that children’s books should have a maximum reader age, that once a marginalized person’s story is told, no more need to be told or read, and that books that center on girls are just for girls, but books that center on boys are for everyone. And I want us to be more inclusive of nonbinary characters/readers and consider the needs of those kids, too. If we want readers to value everyone’s stories, it has to start at the industry level. Authors, publishers, and gatekeepers should be vigilant about recognizing and changing inherent biases – and we all have them. I don’t just think it would be nice if such change happens, I think it must happen. I hope to continue to learn and grow creatively as I learn and grow as a person. I want to write until I literally can’t anymore, so I hope I’m blessed with enough time to set down all the stories simmering inside me. And I wish the same for my husband and favorite author, Chris Barton. May he write all of his wonderful stories and keep on being my brilliant beta reader. I also have hopes for my books – that they may find readers who recognize themselves in them, learn from them, and come away inspired to share their own stories.